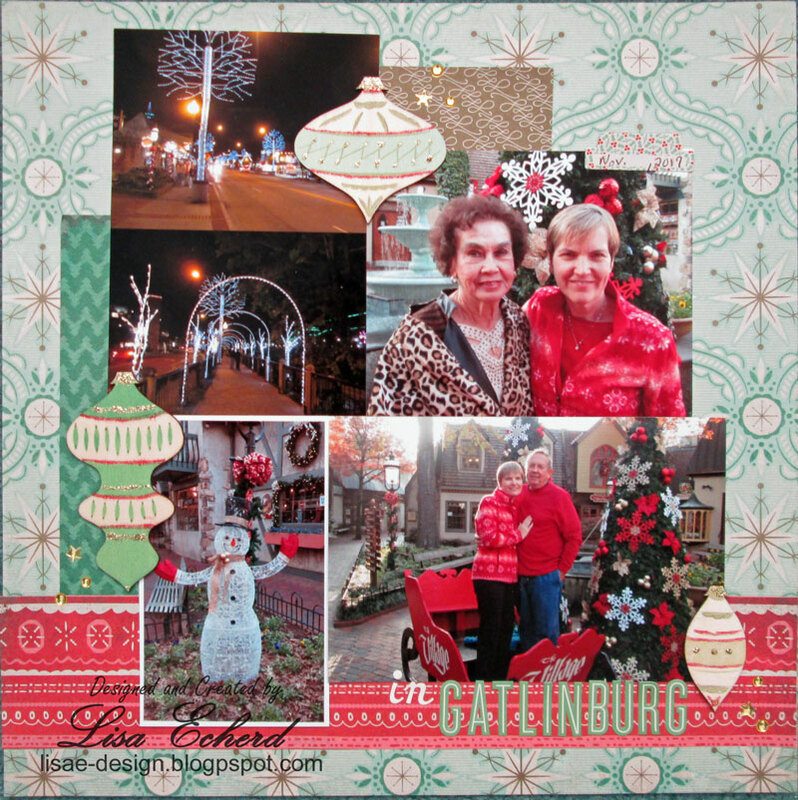 A few days before Thanksgiving, my husband, Mother and I went to Gatlinburg for a couple of days. 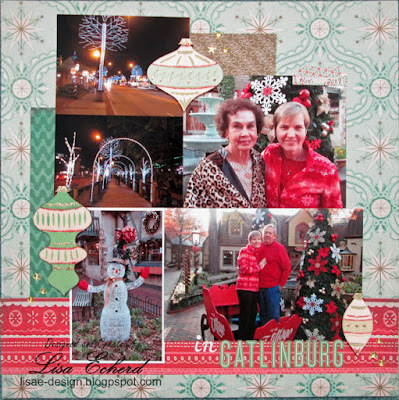 In scrapping this page, I used a holiday collection from Basic Grey. I have another page coming along from the trip that is more nature oriented and the papers work for it, too. And here is the Class Page. Classes are available for purchase through February 5. Great page Lisa ... I still miss Basic Grey!